The White House is telling lawmakers that it will continue paying Affordable Care Act cost-sharing subsidies, potentially defusing a bruising conflict between Democrats and Trump administration officials that had sparked a new round of shutdown fears in Washington Wednesday. House Minority Leader Nancy Pelosi (D-Calif.) confirmed the news Wednesday afternoon after word started spreading around the Capitol. It was not immediately clear how long the White House planned to keep the money flowing. “Our major concerns in these negotiations have been about funding for the wall and uncertainty about the CSR payments crucial to the stability of the marketplaces under the Affordable Care Act," Pelosi said in a statement after two phone calls with White House Chief of Staff Reince Priebus. "We’ve now made progress on both of these fronts." With Congress closing in on a deal, lawmakers were expected to buy another week to finish the deal as a Friday evening shutdown deadline loomed, two sources said. Leaders are leaning toward passing a one-week extension of funding at current levels. 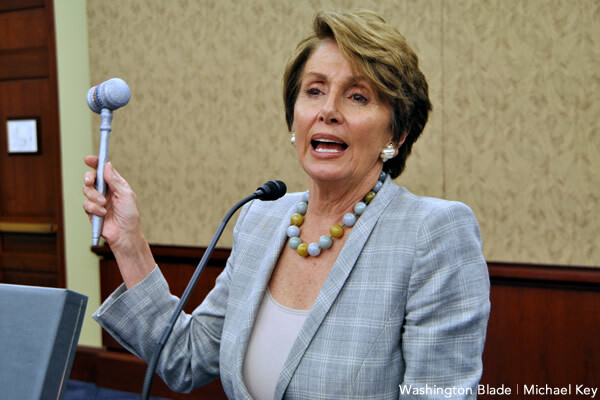 “More progress needs to be made on some of our priorities, and we continue to be concerned about poison pill riders that are still in this legislation," Pelosi said. It also ﻿appears that this will keep the government open for the time being. And it allows Republicans to avoid blame for causing chaos and confusion in the insurance markets. “If we pull the subsidies ... I think there would be nobody with a health insurance plan next year.” said Rep. Phil Roe (R-Tenn.). Is our Republicans learning? Maybe, but only in way equivalent to a kid can "learn" how to spell a word by having it seared into onto the palm of her hand with a branding iron. Having said that, I'll take it.